Uh, oh those shoes are back! What can I say? I really am a smitten kitten. Give me a pastel, or a cleated sole at the moment and I'm all over it. These babies from Ebay are next on my cleated sole wish list *drools* in the pastel pink, please, thanks. Okay. 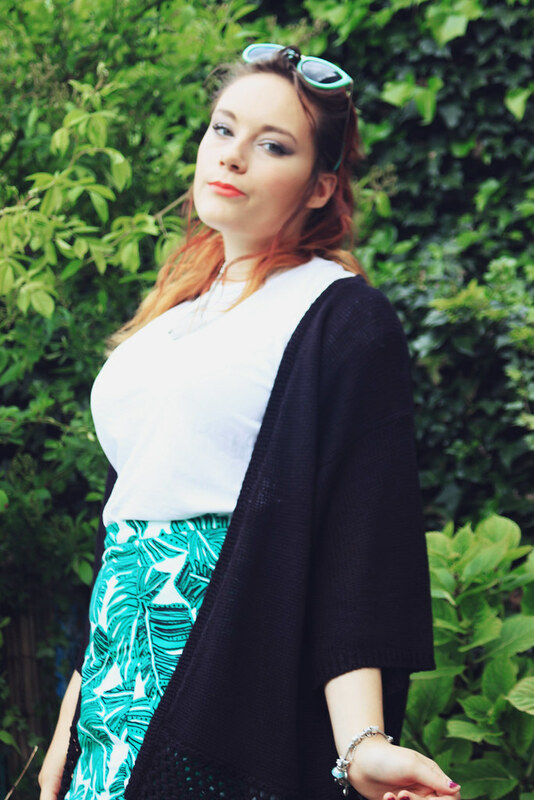 This outfit is also a favourite of mine because it features my new skirt, kimono and sunglasses all at once. Does anyone else do this? Buy new clothes and want to wear them ALL AT ONCE, RIGHT AWAY? Haha I'm like a kid at Christmas. Can you believe you're also seeing me in.. *whispers* black..? Its not that I'm averted to the dark side, I'm just such a colour bug that I tend to brush aside black clothing as dull. 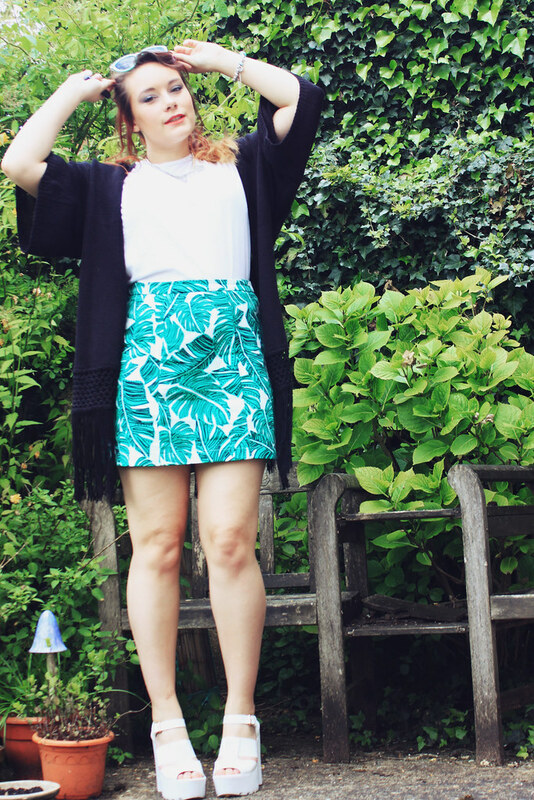 However, this swishy kimono looks cute with my skirt (which adds a pop of colour, phew). Oops, another nearly all Primark outfit- which means I can't link you to the exact items. However, it does mean they are affordable and accessible to nearly everyone- so yay! Well, I'm sorry to have to mention it again, but its blog awards season and I'd be really chuffed if you'd nominate my blog again! This time its the Cosmopolitan Blog Awards. You can nominate my blog for 'Best Established Fashion Blog' and my youtube channel for 'Best Vlog' thank you! I'm also giving away £100 of vouchers for a Trek America trip. You can enter here, good luck!